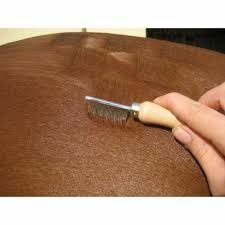 This small comb with a wooden handle can be used with Smart Grooming stencils for a bespoke bottom. It could also be used to de-flea the cat! Now that’s multi purpose for you.